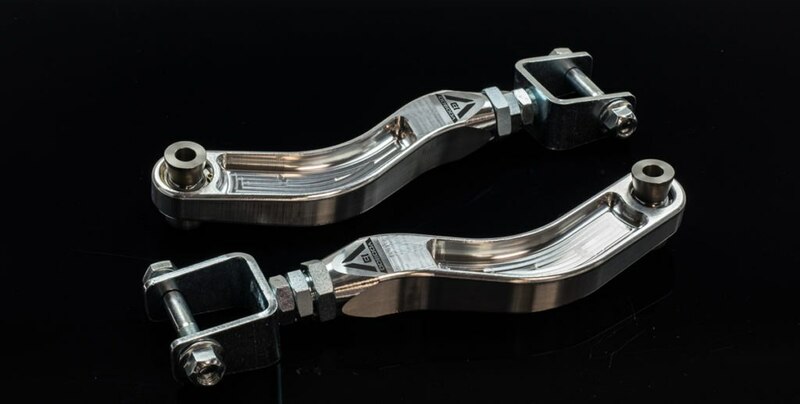 Voodoo 13 adjustable Trailing Arms for the Subaru BRZ give’s you the adjustability to optimize your vehicle’s handling under conditions such as hard acceleration, braking and launching. Our arms are engineered and designed for high performance street and race vehicles. They replace the soft rubber OE bushing with a rigid spherical bearing for increased handling and performance, but sacrifice noise and comfort. CNC machined body using 6061-T6 aluminum ensures our arms are incredibly strong, lightweight and corrosion resistant. 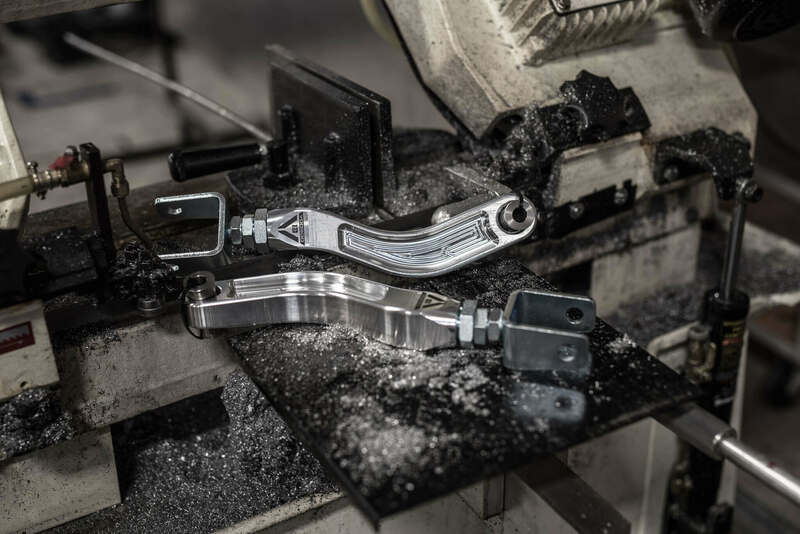 We use a unique design that offers plenty of clearance for OE and aftermarket toe arms. 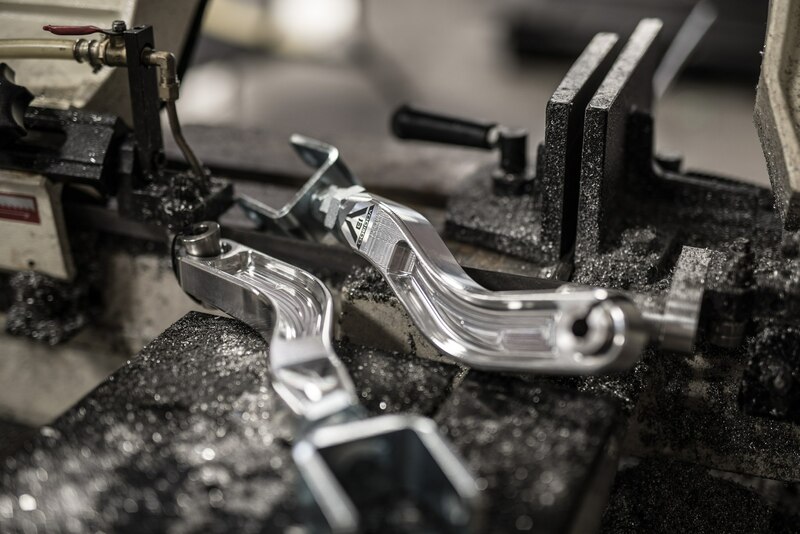 Our signature Voodoo 13 adjuster is made from 4140 heat treated chromoly and zinc plated for corrosion prevention. QA1 supplies us with high quality, made in America spherical bearings. Grade 10.9 zinc plated hardware is included for an easy install.